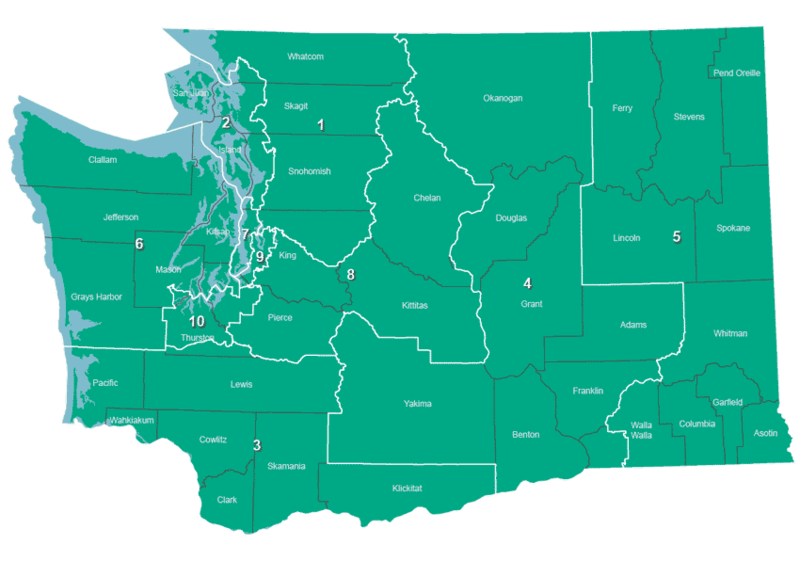 Washington state has ten Congressional Districts. District boundaries are outlined in white. If you are not sure which Congressional District you live in, click on the district representing your approximate geographical location in the state. Entering the name of a candidate in the search box will show you results for that candidate.